In Ballerini’s words “It starts with loss, goes into life, and then it goes into love.” It is chronological, autobiographical, and lets her story unfold song by song. The Country Source had the honor of reviewing Kelsea Ballerini’s anxiously awaited sophomore album Unapologetically before its official release, Friday November 3rd. For any artist their second album is pivotal. A debut album gives listeners a taste of what to expect from an artist; there are no preconceived notions. In fact, Ballerini described her debut album to The Tennessean as “an introduction…like reaching out and shaking my hand.” While the second album can put much more pressure on an artist; pressure to fit the same mold, and also appeal to both old and new fans. Kelsea’s debut album The First Time was a huge success earning her multiple awards and nominations including 3 No. 1 hits. The album, released in 2015, jumpstarted her career. At the time she was an underdog, signed with independent (and her current) label Black River Entertainment, her success was a welcome surprise. Unapologetically is different from The First Time. This difference isn’t in lack of emotion, meaningful lyrics, or integrity… but maturity. Unapologetically shows Ballerini’s growth as a young woman and an artist while retaining the spark and individuality that sets her apart in the industry. Unapologetically is honest and raw at heart, experimental in sound, and has something for every mood. This honesty is sure to connect with fans on a deeper level. In Ballerini’s words “It starts with loss, goes into life, and then it goes into love.” It is chronological, autobiographical, and lets her story unfold song by song. It is evident a lot of thought went into this album. Ballerini co-wrote all of her tracks working with acclaimed writers/producers Hillary Lindsey, Shane McAnally, Ross Copperman, and Forest Glen Whitehead, among others. The only exception was the song “High School”, which she herself wrote. Choosing the tracks was no easy task. “I had about 200 songs and I didn’t really know where to start. I was just listening to demos…realizing this being my first intentional album, I was thinking, ‘What is this going to be…what is it going to be about…what is the heart beat?’ I realized that it’s just my life. And as a songwriter, I write about my life”, says Ballerini. Unapologetically is a journey from darkness to light. This journey begins with a break-up. The powerful “Graveyard”, sets a dark and moody tone, painting a vivid picture of the graveyard of broken hearts a man carelessly leaves behind. Funeral metaphors fill the song, especially in the chorus “I don’t want to watch you drive away in a black car to a new bar / where you can find another hopeless broken girl in a little black dress/ and take her break her / lay her heart to rest in peace, right here next to me.” The layered vocals give this song a haunting element. “Miss Me More” is much more upbeat and is a post break-up anthem about finding yourself again after getting so caught up in a relationship; in trying to please the other person, you lose yourself. Ballerini brings empowerment and girl-power with strong pop influence while still retaining country flair. “Get Over Yourself” also has an anthem vibe that is about finally letting go of a past relationship, while “Roses” is a nostalgic look back on a relationship that was only temporary. At this point the album becomes more self-reflective. “Machine Heart” is about acceptance and realization. The production is almost robotic sounding which is a clever tie to the title with lyrics like “I won’t always get it right/but hey ain’t that just life / at least you’re getting something real”, she opens up and shows transparency. “In Between” is about becoming an adult and essentially coming into one’s own. It’s extremely personal, telling her insecurities and is a stand out. Another stand out is fan-favorite “High School”. I think she included it in this section of the album because it goes back to her roots of songwriting and identity as a songwriter. It’s also about moving forward, as opposed to being the guy in the song who is stuck in the past. Lyrically, “High School” could be considered one of Kelsea’s best songs on the album and a song that can be stripped down to play acoustic live or full production, it has that versatility to it. 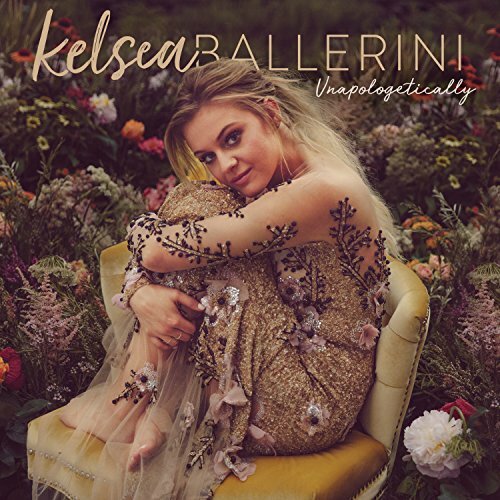 In essence, Unapologetically is a powerful album that fans will appreciate and showcases all that we have come to expect from Ballerini: heartfelt vocals, powerful lyrics, and fearless individuality in the country music genre. 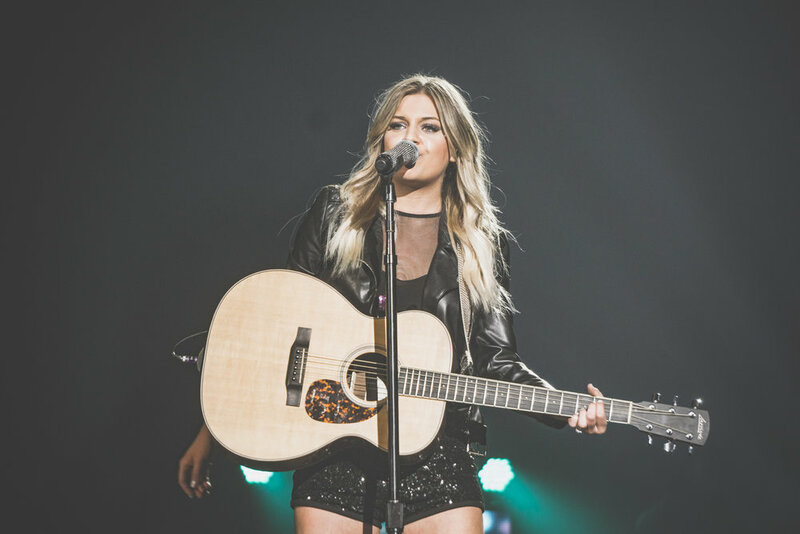 Kelsea Ballerini will begin The Unapologetically Tour on 2/8 in Birmingham, AL. Unapologetically is available everywhere now.